Happiness is our main ingredient! It’s a beautiful day at the food truck and your dolls will have a blast serving delicious snacks to their customers in the Our Generation Deluxe Outfit – Dressed to Grill! 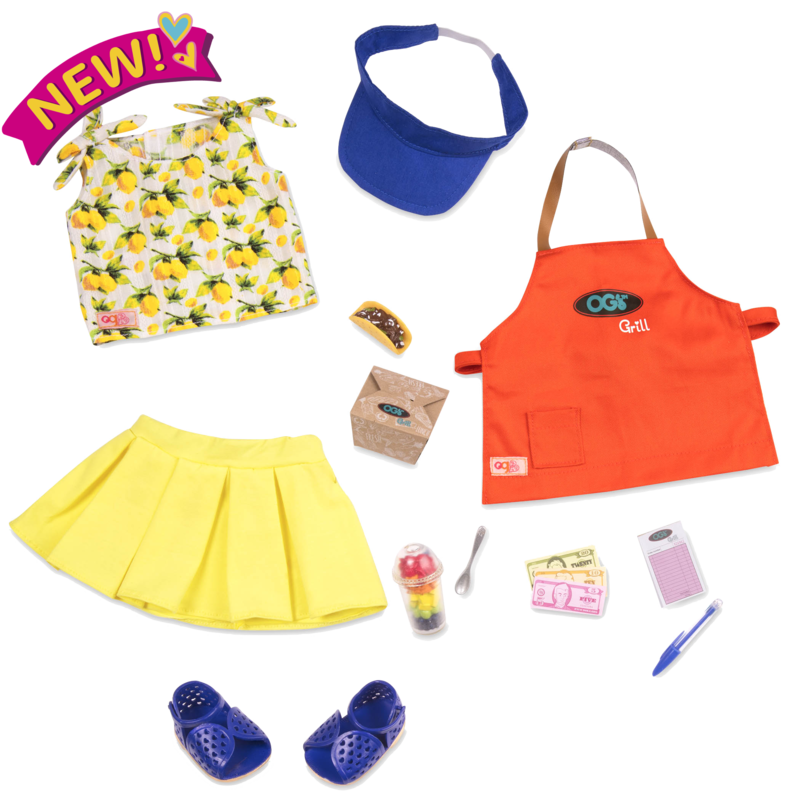 This food server outfit for 18-inch dolls works great on its own or paired with the Our Generation Grill to Go Food Truck, or with any of the great restaurant themed OG items. Because there has never been a generation of girls quite like us. We’re teaching our families to recycle, planting gardens and helping out at the local animal shelter. And when we’re not saving the world, we’re busy running down grassy hills as fast as gravity will take us, arms outstretched to the world. Sure, we might tumble, but bouncing back up can be fun, too. This is our time. This is our story. Would you like and order of extra smiles with that? 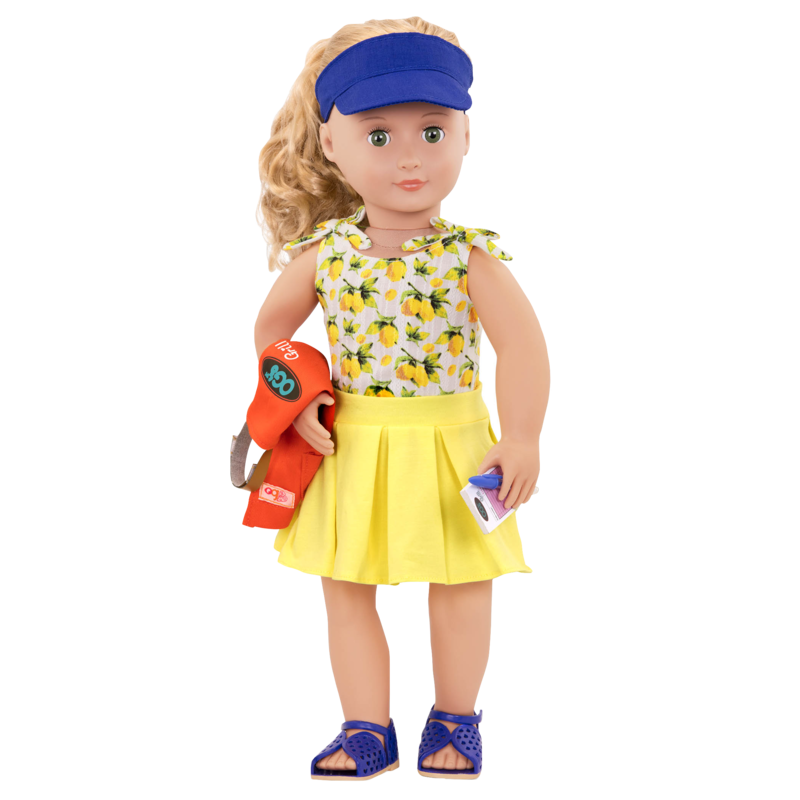 Dress your dolls in the adorable lemon-print tank top with tie straps and the matching pleated yellow skirt for instantly sunny style! 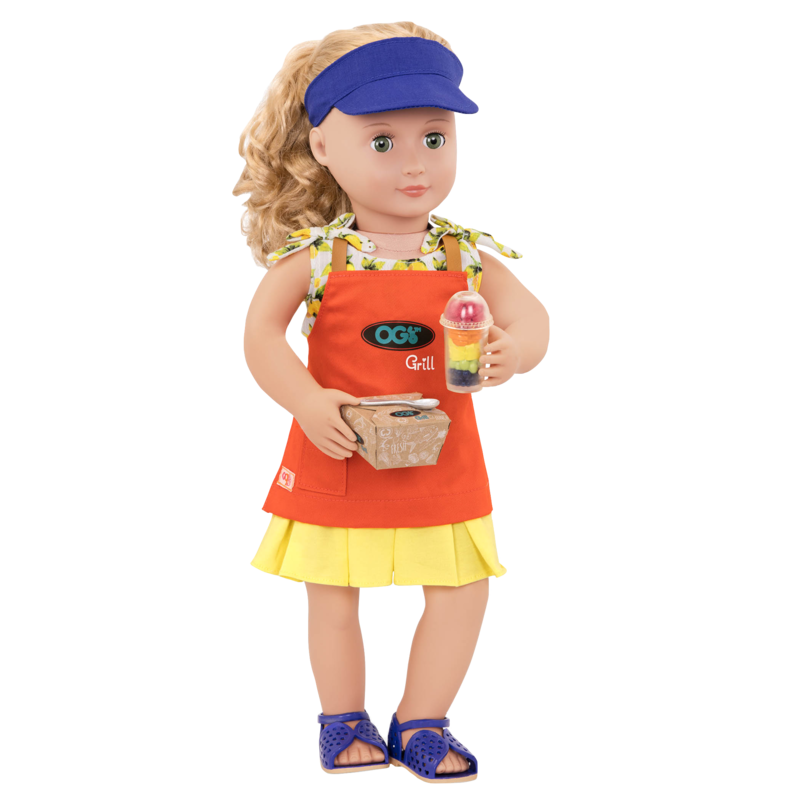 Add the “OG Grill” apron to keep your dolls tidy, and the blue sun visor to shield their eyes from the bright day. Matching blue jelly sandals complete the look. 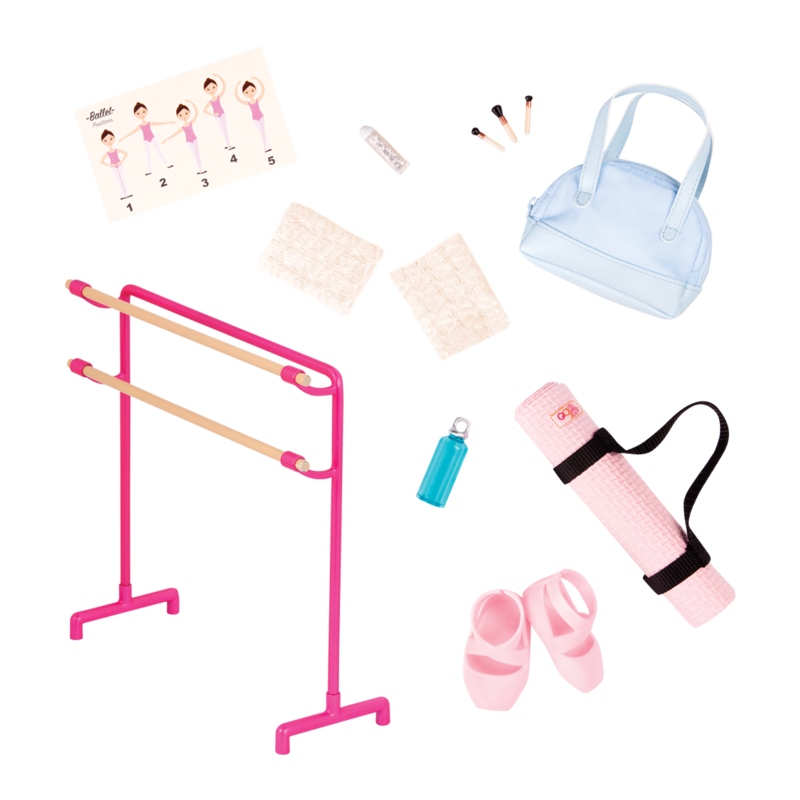 This Deluxe outfit comes with a pen and notepad to help your dolls take down orders, pretend money to make change for customers, and of course a variety of snack foods for them to serve. 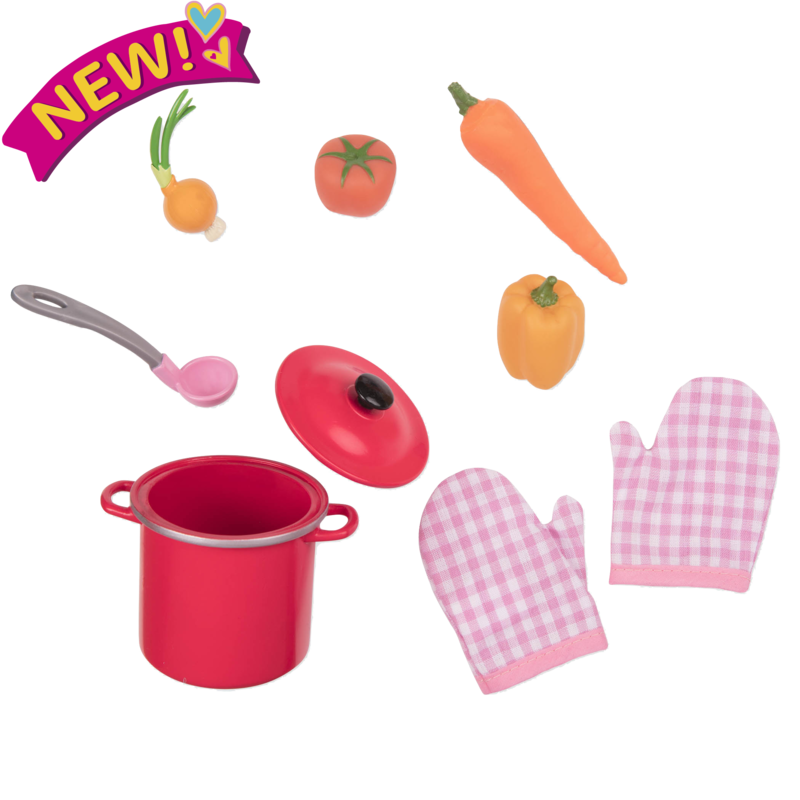 Your doll will be ready to serve up smiles and happiness to all her customers in no time! 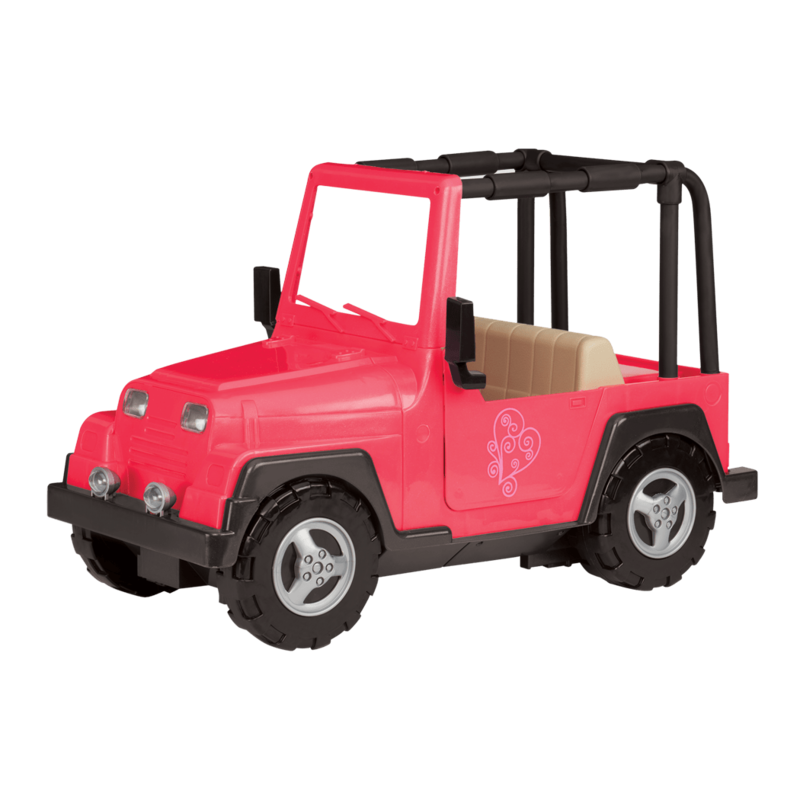 The Dressed to Grill outfit is a great match for dolls who want to play in the Grill to Go Food Truck, a kitchen-on-wheels with all kinds of great food to serve to your dolls, and lots of fun features! Or why not get creative and set up a juice bar next to the Food Truck using the OG’s Juice Bar! 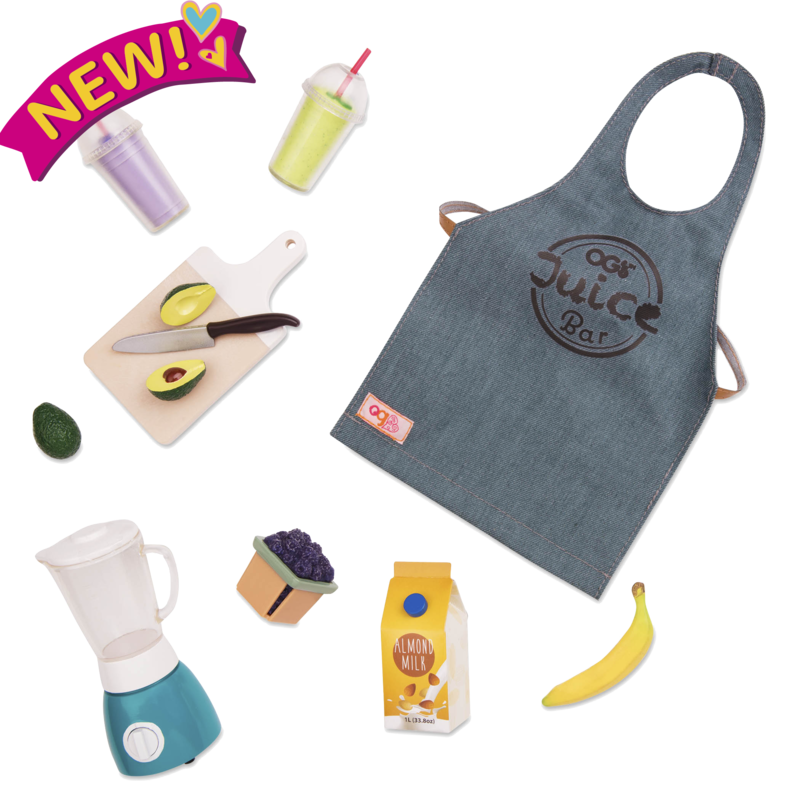 Your dolls will love making and serving delicious smoothies and other yummy drinks while they wear their Dressed to Grill outfit!